Toilets and bidets happen to be a big part of any bathroom in the modern world. However, most people may not know this but there are many different types of toilets sold across the country, each offering its own set of merits in addition to their drawbacks. That said the approach of just buying the cheapest or best looking toilet that you see is not always the best one because it can lead to the installation of a low quality toilet. The end result of this can be leaks, blockages, rust and most of all discomfort if you need to use it for an extended period of time. This is why at Sydney Bathroom Supply we only sell the highest quality toilets which are durable, reliable and rugged in addition to being great looking. 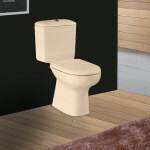 Our toilets and bidets are well known for their durability and excellent performance. We are one of the leading sellers of bathroom accessories and happen to be extremely popular in Sydney. 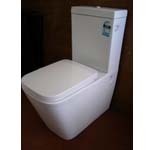 Our most popular is the two piece toilet with a bidet. Every toilet we build and sell needs to include a number of features as a standard across every model, this includes them being space saving, very easy to clean, they need to look great and be extremely durable. However, in order to make all of this possible we need to procure an use only the highest quality raw materials. Plus every toilet needs to be individually checked for defects to ensure that its perfect prior to being sold. 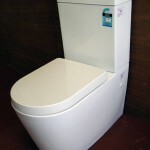 At Sydney Bathroom Supply we sell an array of different style toilets mainly because we want to have something for everyone. So, regardless of the type and size of your bathroom it is not hard to find exactly what you are looking for on our website. Plus we continue to add new and improved toilets and bidets to our inventory on a fairly regular basis which is why it’s always a good idea to check back to our website to find the latest product. 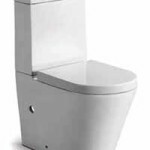 People who need to place an order to want to find out more about our extraordinarily extensive line of high quality toilets can call 02 9675 6885. If you want to make a bulk purchase, need to send us feedback or just get in touch with us for general information then send us a message via our online form.